It’s as true in college as it is in elementary school: reading skills matter. And for students who need a little extra reading support, there’s no better resource than Grade Potential. Our reading tutors work with you one on one to boost your academic confidence and drive positive results! 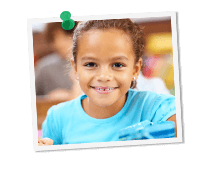 Grade Potential provides exceptional reading tutors for students of all ages, from elementary school to post-graduate level courses. Because reading skills are such an important part of any academic career, we work with students individually to identify specific academic goals and strategies to reach them. Through the personalized support of a Grade Potential reading tutor, a student gains confidence to move forward and grow! Make the most of Grade Potential reading tutoring, whatever your grade level. Our tutors come to you on your timetable and at your location in order to make developing reading skills easier than ever. What’s more, many of our clients end up working with us over the course of their academic career because they realize what one-on-one support can do!